© 2002, © 2019 by Paul Freeman. Revised 2/13/19. 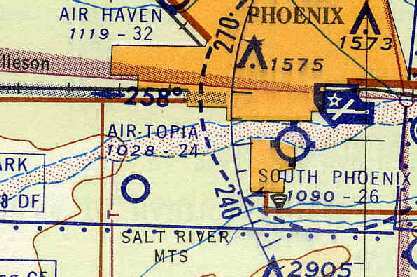 Air-Topia Airport, one of the amazing array of airfields depicted in the Phoenix area on the 1947 Gila River World Aeronautical Chart. “Air Topia Airport was constructed sometime around 1943 as an auxiliary field for one of the military bases that were operating during WWII. 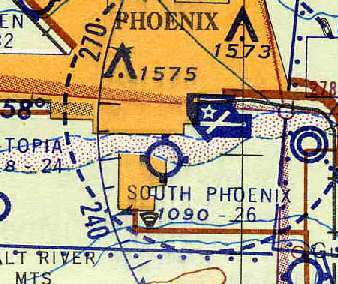 Air-Topia Airport was not depicted on the 1945 Phoenix Sectional Chart (courtesy of John Voss). 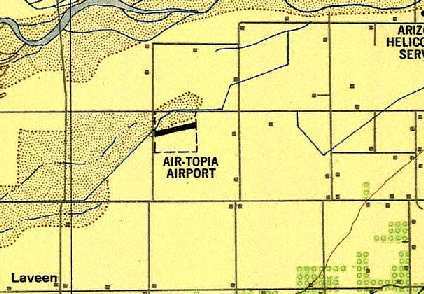 The earliest depiction of Air-Topia Airport which has been located was the 1947 Gila River World Aeronautical Chart. It depicted Air-Topia as having a 2,400' unpaved runway. 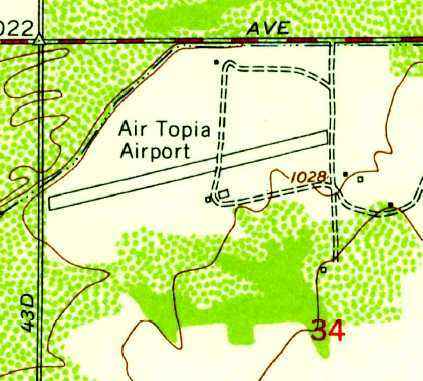 The 1948 USAF Urban Area Chart depicted Air-Topia Airport as having a single northeast/southwest runway. 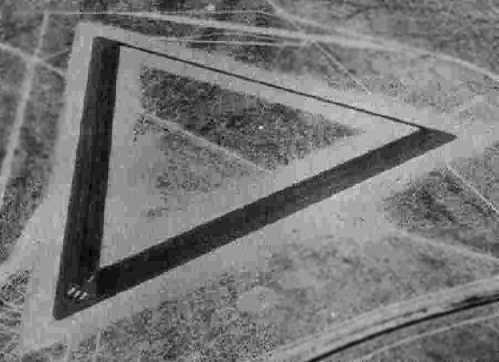 was a 1949 aerial view (from the Maricopa County Flood Control District). with a few small buildings on the south side of the field. 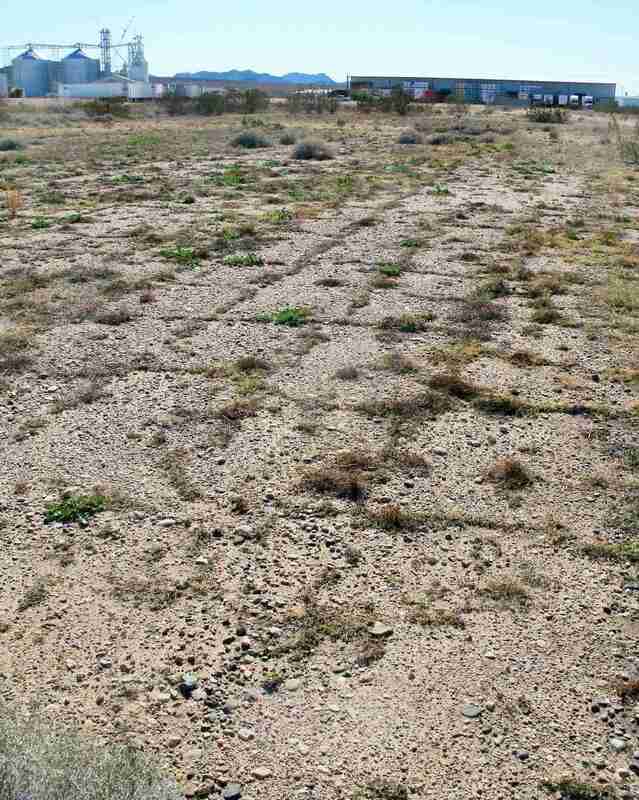 described Air-Topia Airport as having a 2,400' unpaved runway. which included fueling aircraft & conducting small engine repairs. with 2 small buildings on the south side of the field. described Air-Topia Airport as having a single 2,400' bare runway. was on the 1958 Phoenix Sectional Chart (courtesy of Chris Kennedy). 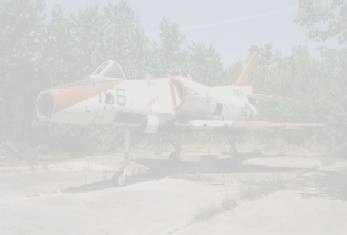 It depicted it as having a 2,400' unpaved runway. A 1958 aerial view depicted a single small aircraft on the ramp near Air Topia's hangar. 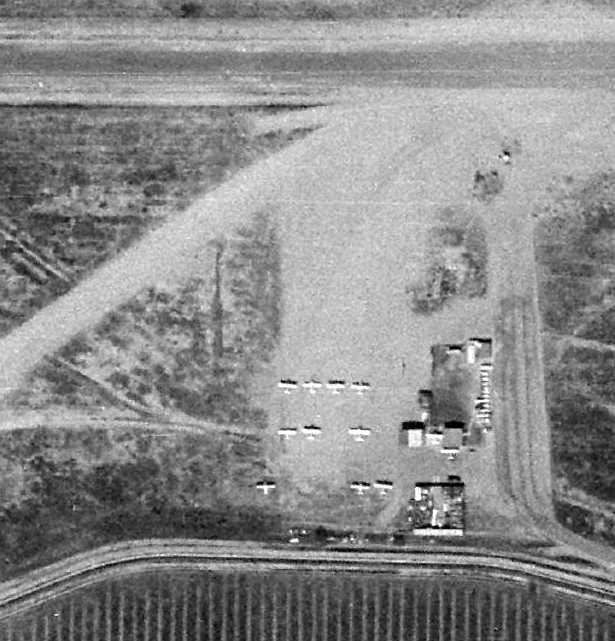 The last photo which has been located of the Air-Topia Airport was an 8/1/61 USGS aerial view. “In 1961 the Air Topia Airport property was sold to a residential home developer. 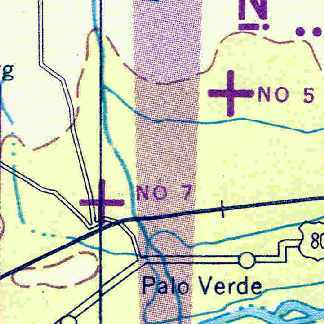 nor depicted on the 1962 Phoenix Sectional Chart. while the western half of the runway still remained intact. while housing had been built over the rest of the property. No trace of the former airfield appeared to remain. with the site having been covered by dense housing. The site of Air-Topia Airport is located southeast of the intersection of South 43rd Street & West Southern Avenue. South Phoenix Airport, one of the amazing array of airfields depicted in the Phoenix area on the 1947 Gila River World Aeronautical Chart. 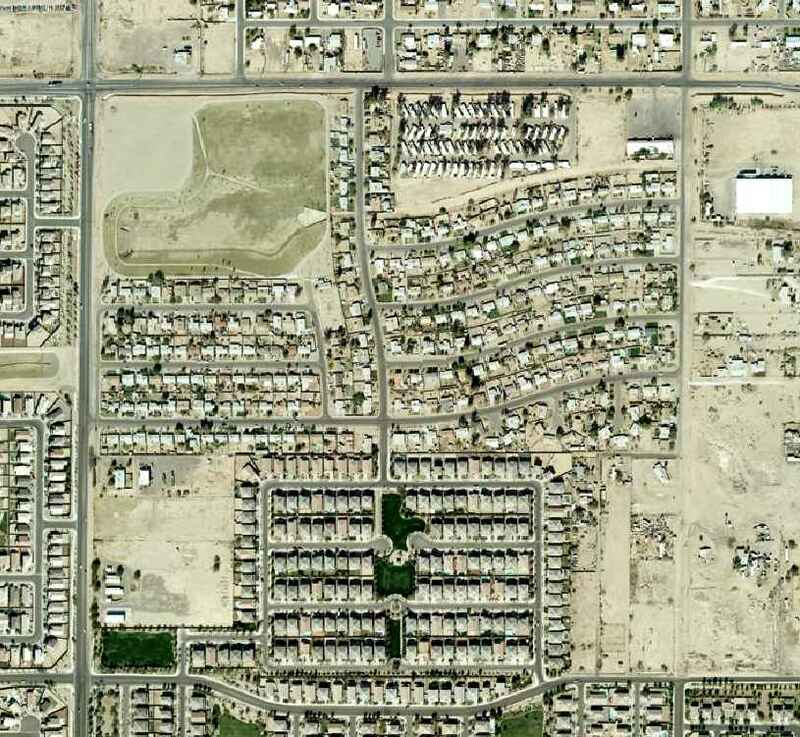 which depicted South Phoenix as having a 2,600' paved runway. 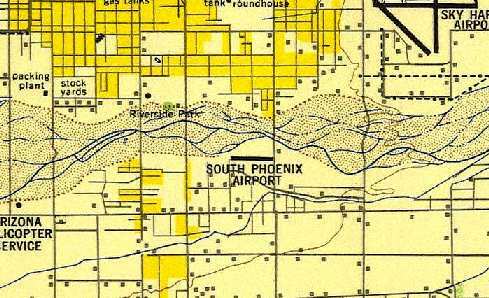 The 1948 USAF Urban Area Chart depicted South Phoenix Airport as having a single east/west runway adjacent to the south side of the Salt River wash.
was a 2/17/49 aerial view (from the Maricopa County Flood Control District). with a total of 10 single-engine aircraft parked around a few small buildings on the southeast side of the field. described South Phoenix Airport as having a 2,600' unpaved runway. along with a single building (hangar?) at the southeast corner of the field. 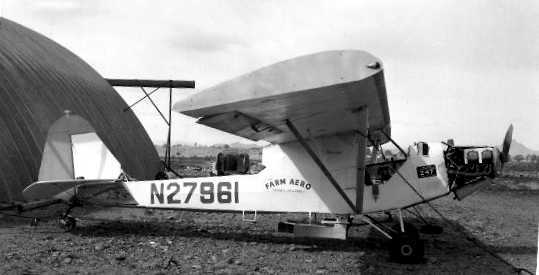 by Brian Baker (enhanced by Bill Grasha) of a Travelaire 4000 biplane, operated as a crop duster, marked as “Farm Aero”, in front of a hangar. 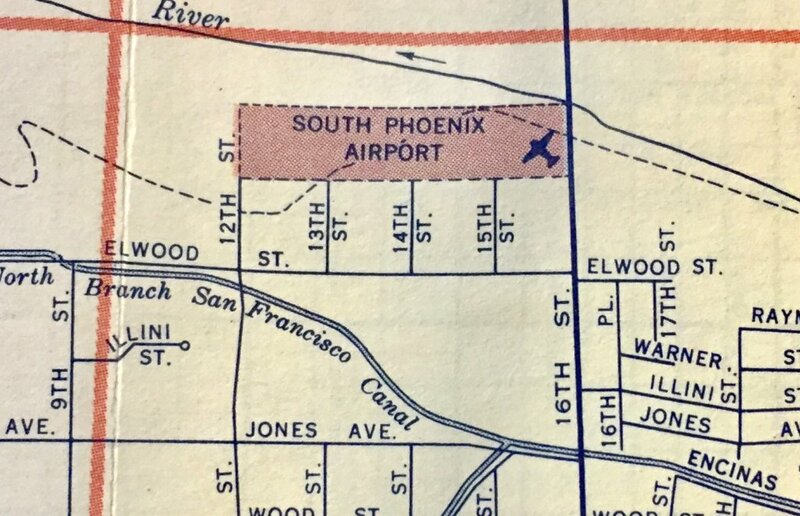 A 1958 street map (courtesy of Kevin Walsh) depicted South Phoenix Airport as an east/west rectangular property outline. described South Phoenix Airport as having a single 2,600' bare runway. depicted South Phoenix Airport as having a single unpaved east/west runway. The number of aircraft visible on the field had decreased somewhat compared to the 1949 photo, to only 6. It appears as if a building added northwest of the runway may have also served as a hangar. 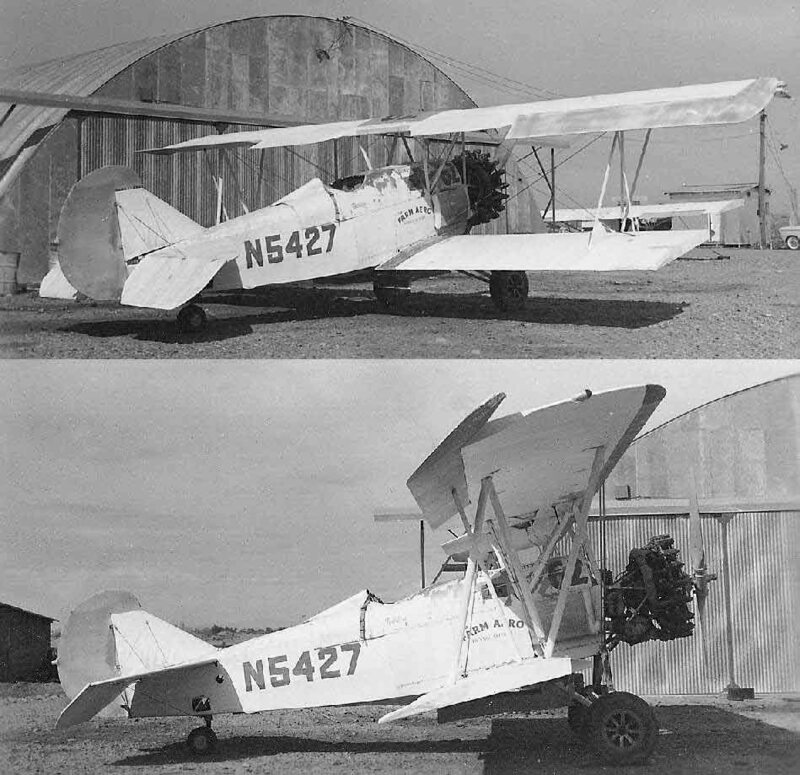 was a 1960 photo by Brian Baker of an extensively-modified Piper J3F duster, N27961, marked as “Farm Aero”, in front of a hangar. and listed the operator as James Wilson. 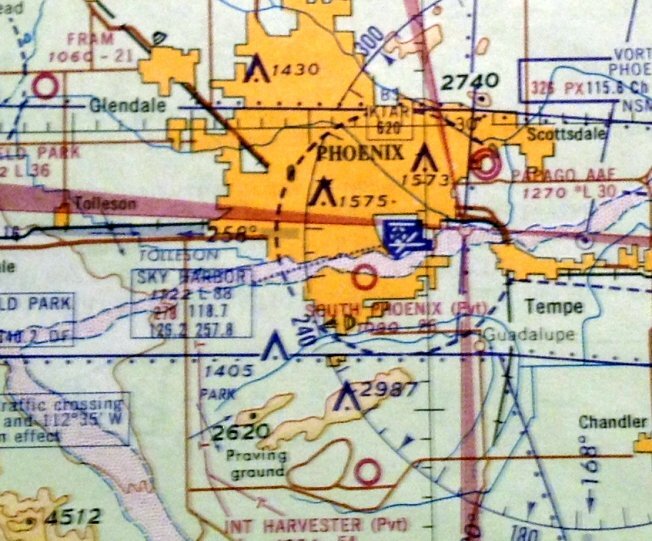 The last aeronautical chart depiction which has been located of South Phoenix Airport was on the 1962 Phoenix Sectional Chart. It depicted South Phoenix Airport as a private airfield having a 2,600' unpaved runway. the 1966 Phoenix Local aeronautical chart (courtesy of John Voss), or the 1969 USGS topo map. but the former aircraft parking area having been reused for storage. 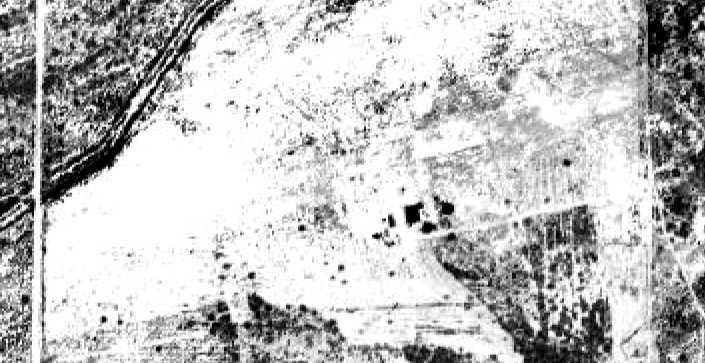 The 1997 USGS aerial photo did not show any trace of South Phoenix Airport. A 12/3/07 aerial view (from the Maricopa County Flood Control District) did not show any remaining trace of the South Phoenix Airport. 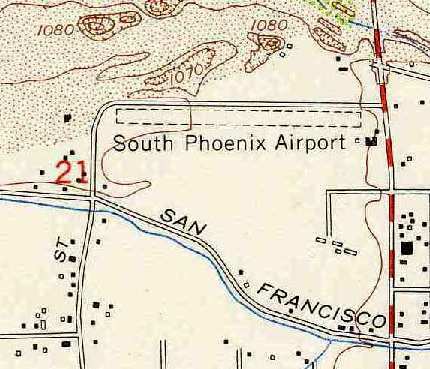 The site of South Phoenix Airport is located northwest of the intersection of South 16th Street & East Elwood Street. Litchfield Park Airport, as depicted on the 1935 Phoenix Sectional Chart (courtesy of Chris Kennedy). 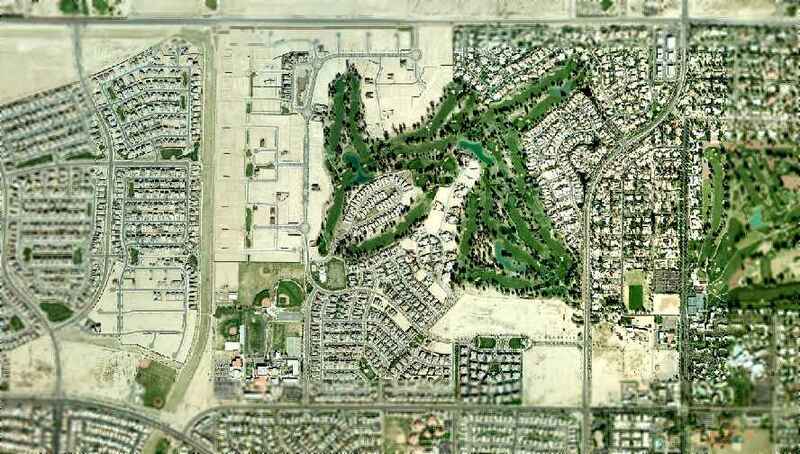 (which was also known as Litchfield Park Naval Air Facility, leading to some confusion). 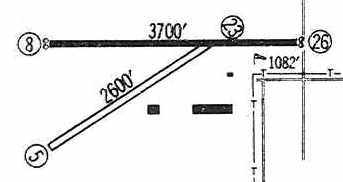 which described it as a rectangular dirt field measuring 2,010' x 1,298', with the entire field available. 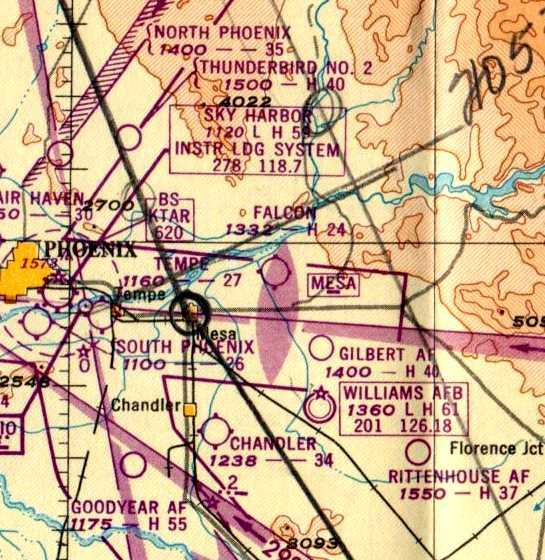 on the 1935 Phoenix Sectional Chart (Sky Harbor being the other). 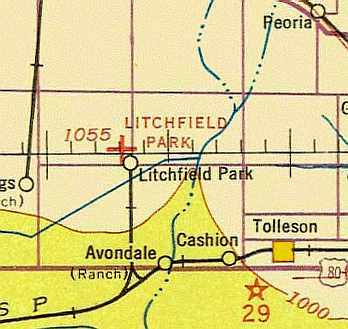 Litchfield Park was depicted as an auxiliary airfield. was a 6/21/43 aerial view looking north, from the 1945 AAF Airport Directory. It depicted the airport simply as a rectangular open area. described Litchfield Park Airport as having a 2,300' runway. 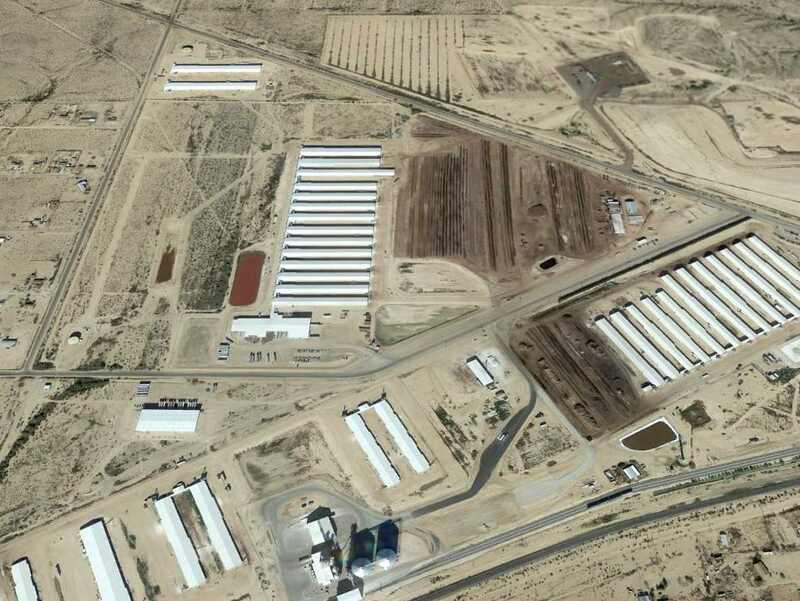 as a 60 acre rectangular property within which was a 2,010' x 1,290' sand & caliche all-way field. 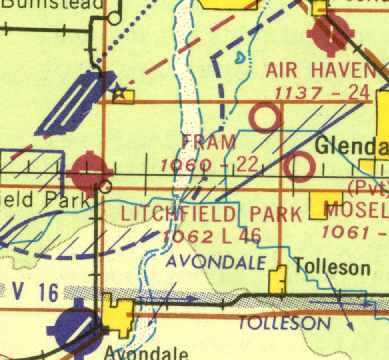 The 1947 Gila River World Aeronautical Chart depicted Litchfield Park Airport as having a 3,700' paved runway. 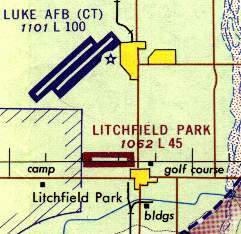 The 1948 USGS topo map depicted Litchfield Airport. depicted the Litchfield Park Airport as having a single unpaved east/west runway. The buildings to the southeast of the runway were evidently not related to the airfield. described Litchfield Park Airport as having a single 3,960' oiled runway. 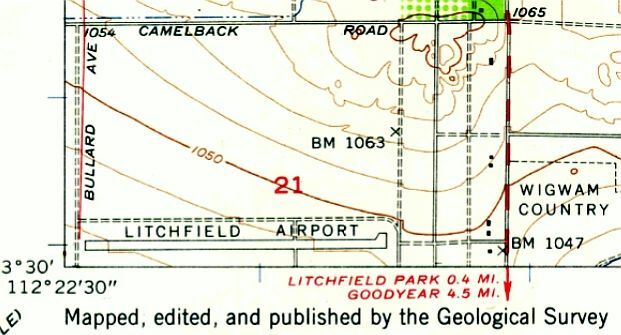 The 1957 USGS topo map depicted the Litchfield Airport as having a single paved east/west runway. 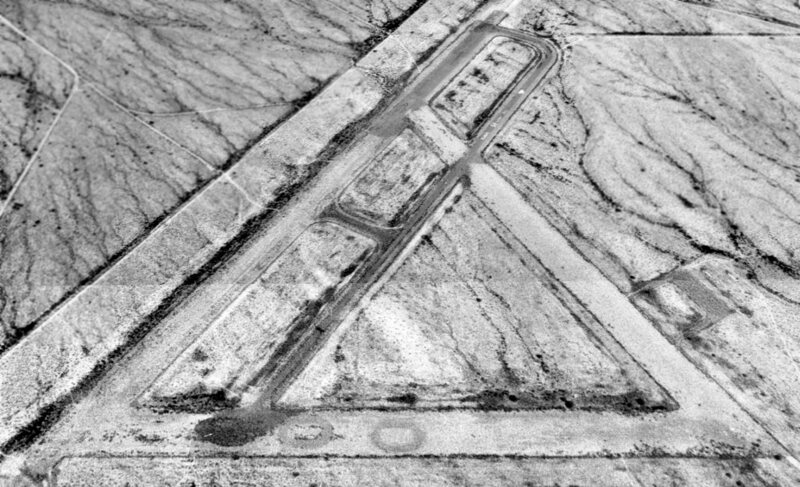 A 1958 aerial view depicted the Litchfield Park Airport possibly while the runway was being paved, as only the eastern third was paved. A dozen light aircraft were visible parked on the south side of the field. depicted the Litchfield Park Airport as having a single 3,700' paved Runway 8/26 & a 2,600' unpaved Runway 5/23. A total of 3 buildings (hangars?) were depicted along the southeast side of the field. and listed the operator as Marsh Aviation Company, Inc.
Litchfield Park Airport was depicted as having single 4,520' paved Runway 8/26. was on the July 1968 Phoenix Sectional Chart (courtesy of David Brooks). was a 1969 aerial view (from the Maricopa County Flood Control District). with a shorter crosswind unpaved runway. A closeup of Litchfield Park Airport from the 1969 aerial view (from the Maricopa County Flood Control District, courtesy of Jeff Lockridge). It depicted a total of 11 single-engine aircraft parked around several small buildings on the south side of the field. as it was no longer depicted at all on the August 1971 USAF Tactical Pilotage Chart (courtesy of Chris Kennedy). which must have eventually proved to be unworkable. 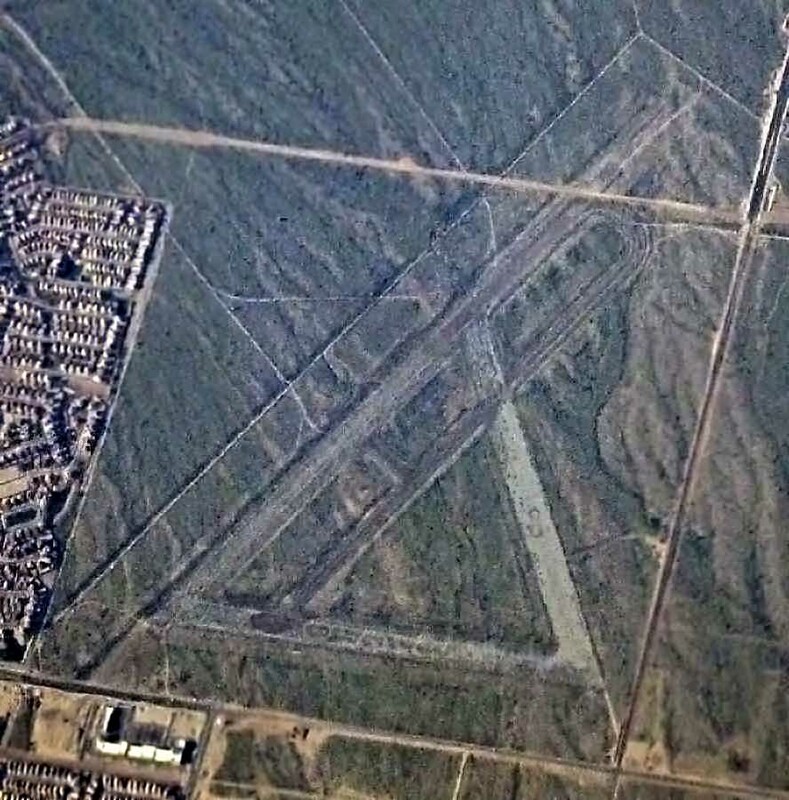 the Litchfield Park Airport was depicted as an abandoned airfield. The 1982 USGS topo map still depicted a mere 600' "Landing Strip", extending west from Bullard Avenue. Apparently the runway used to continue to the east, before it was bisected by Bullard Avenue. is the name of the canal just southeast of the "Landing Strip" - labeled "Airline Canal". 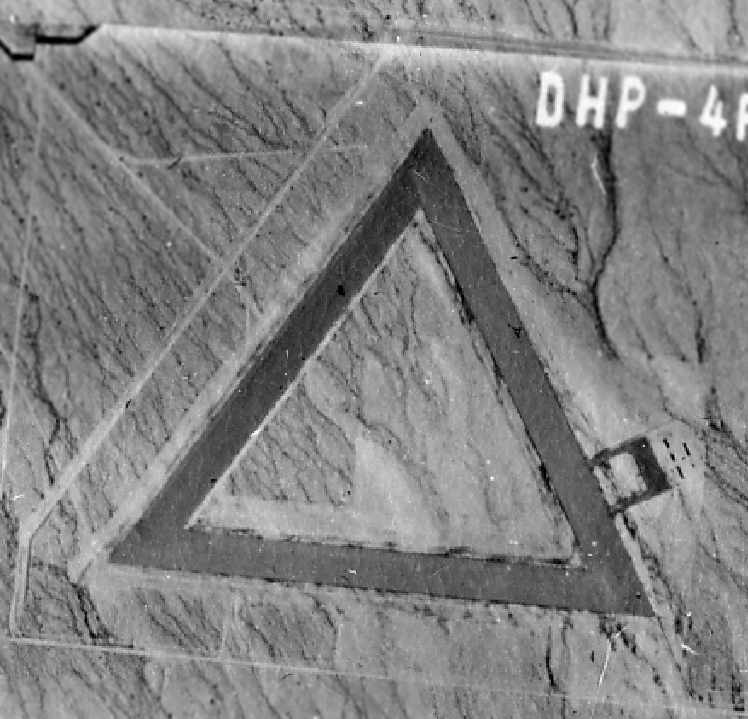 showed no trace remaining of the Litchfield Park Airport. The site of Litchfield Park Airport is located southwest of the intersection of Camelback Road & Litchfield Road. from the 1945 AAF Airport Directory (courtesy of Scott Murdock). 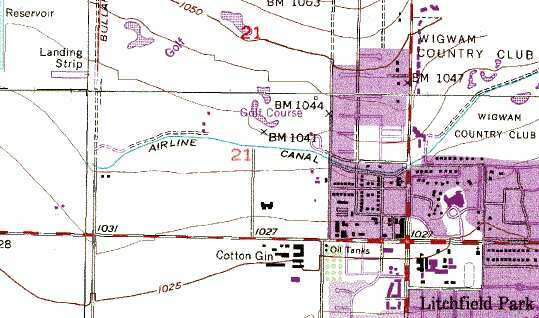 According to a 1992 Army Corps of Engineers Report, the property for Hassayampa Field encompassed a total of 612 acres. 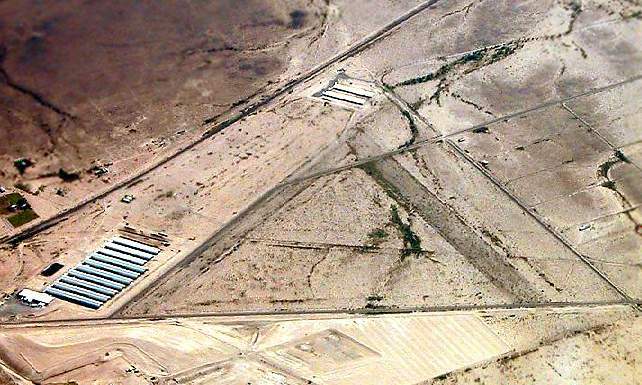 "Hassayampa Field, Number 7, had only 2 runways, both having the 300' x 4,000' dimensions. 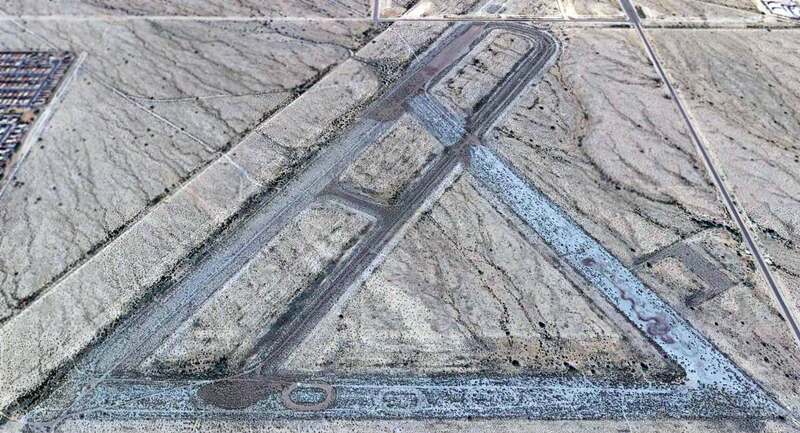 Despite having only 2 runways, Hassayampa Field’s airdrome construction cost amounted to $237,000." Field #7 was "built during the period July - August 1942." It depicted the field as having 2 asphalt runways connected by a taxiway. as a 612 acre trapezoidal property within which were two 4,000' bituminous runways, oriented NNE/SSW & northeast/southwest. The field was said to not have any hangars, and to be operated by the Army Air Forces. 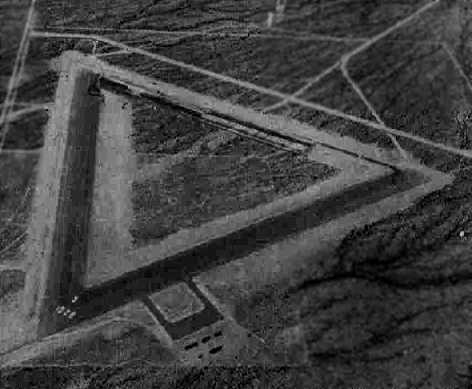 The 1947 Gila River World Aeronautical Chart depicted Luke AF #7 as having a 3,800' paved runway. The site was originally declared excess in 1948 (according to the Army Corps of Engineers). oriented north/south & northeast/southwest, along with a connecting taxiway. Unlike many of the other WW2-era Arizona auxiliary airfields, there did not appear to have been any parking ramp (or any other improvements). but was once again declared excess in 1955 (according to the Army Corps of Engineers). 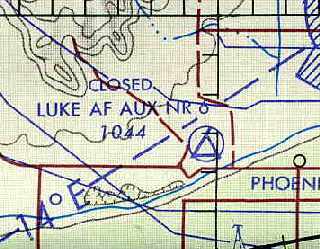 However, "Luke AF #7" was still depicted as an active airfield on the 1956 Phoenix Sectional chart (courtesy of John Voss). 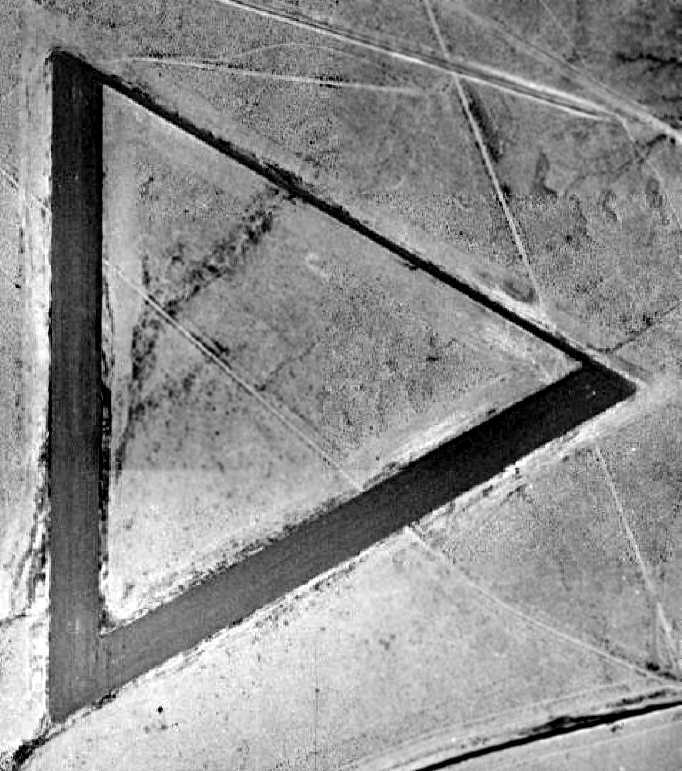 The airfield remained intact as seen on a 1958 aerial photo. 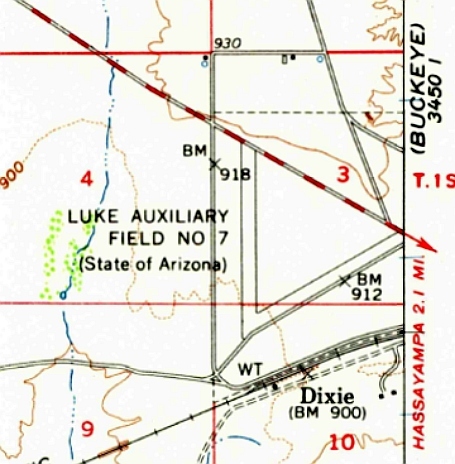 The 1962 USGS topo map depicted “Luke Auxiliary Field #7 (State of Arizona)” as having 2 paved runways. 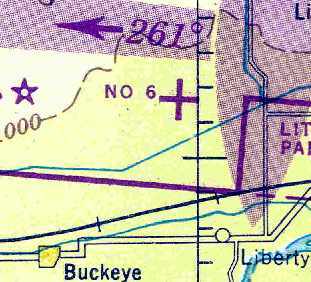 as the site was marked "Abandoned Airport" on the 1964 Phoenix Sectional Chart (according to Chris Kennedy). 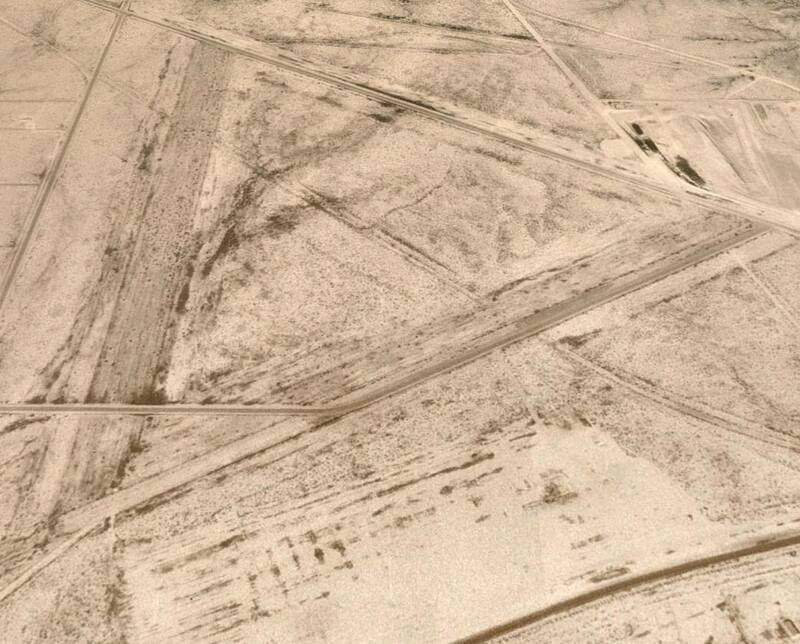 A 1992 USGS aerial view looking north showed the former Hassayampa Field remained intact. 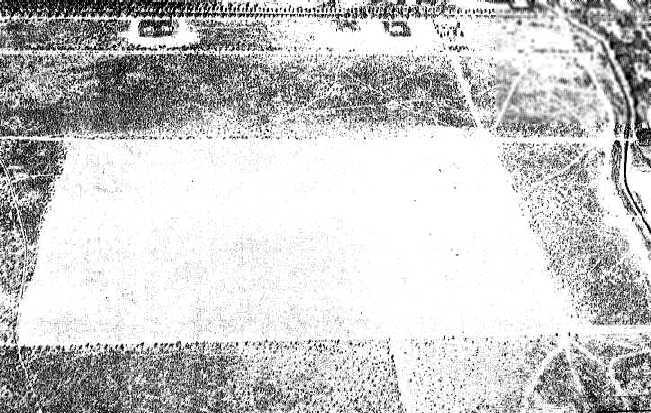 Hassayampa Field appeared basically unchanged in a 1996 aerial photo. as depicted in a 1998 aerial photo. A 2002 aerial view © 2002 by AirNikon (used by permission) looking southwest at Hassayampa Field. The remains of the two 4,000' runways & connecting taxiway are still perceptible. As of 2002, the property of Hassayampa Field was owned by Maricopa County & several private parties. The county-owned Hassayampa landfill on the northeast portion of the site was listed as a federal Superfund site. with only the overall triangular airfield layout still recognizable. A 2/2/16 photo by Mike Jamison, of “traces of Luke Aux Field 7's only remaining runway, looking southward. A 2/2/16 photo by Mike Jamison, who reported, “Northern-looking view of Luke Aux Field 7's last runway. Newly constructed agricultural buildings starkly contrast modern times with yesteryear. 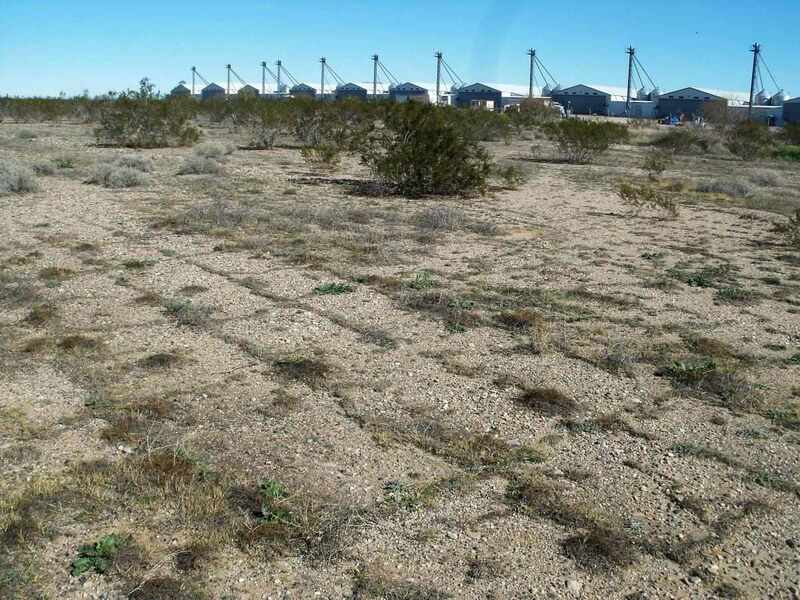 According to a 1992 Army Corps of Engineers Report, the Goodyear Field property consisted of a total of 1,159 acres. and the construction costs for its airdrome was $263,000. barracks, pit latrine, crash truck shed, generator shed & a control tower. Building construction cost totaled $24,300." as having 2 paved runways connected by a taxiway. 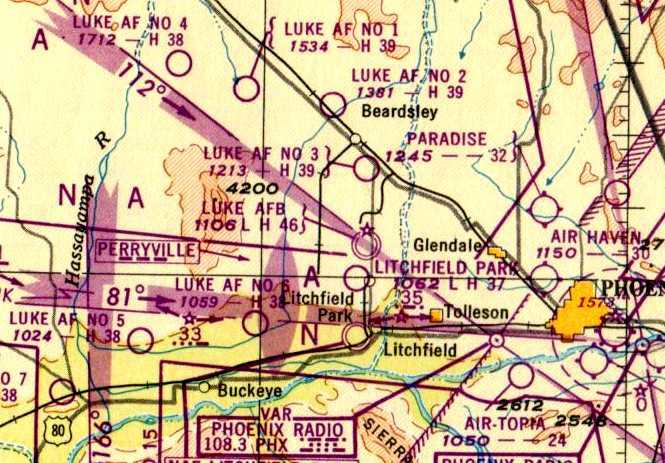 Luke AF #6 was depicted on the 1947 Gila River World Aeronautical Chart as having a 3,800' paved runway. with 3 runways & a parking ramp on the southeast side. What may have been several small buildings were just east of the parking ramp. but was then reestablished & expanded by the Air Force later that same year. and as an emergency drop zone for flight training missions from Luke AFB. depicted "Luke AF #6" as an active with the longest runway as being a 5,300' hard-surfaced strip . 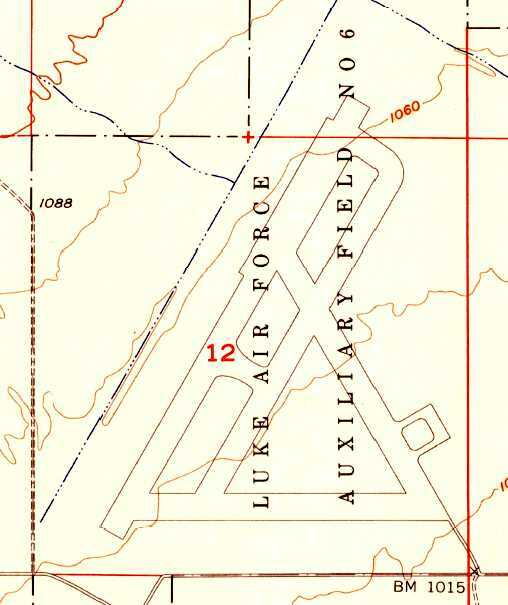 The 1957 USGS topo map depicted Luke AF Aux #6 as having 3 paved runways, taxiways, and a small ramp. The Army Corps of Engineers indicated that the Luke AF Aux #6 site was declared excess in 1957.
as it was labeled "closed" on the August 1971 USAF Tactical Pilotage Chart (courtesy of Chris Kennedy). A 1992 aerial view looking north at the remains of Luke Aux #6. Aerial view of of Luke Aux #6 © 2002 by AirNikon, used by permission. As of 2002, the Luke Aux #6 property was owned by the State of Arizona & a number of private individuals. showing the remains of the 3 paved runways. A 2014 aerial view looking north at the remains of Luke Aux #6 showed a road had been built across the northern end of the northeast/southwest runway.